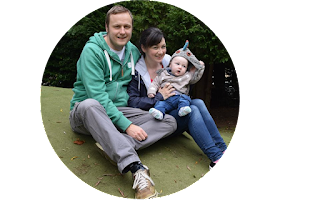 Organic and Free Range – both of these types of food are very important to me. Even though we are on a budget for food we try to buy local and have the food sourced from the best places we can afford. It really bothers me when you are in a supermarket and you see the food origin of something that could easily come from the UK but instead has been shipped over from beyond mainland Europe. I get it with fruits that cannot grow in our climate but meat and fish is another matter. 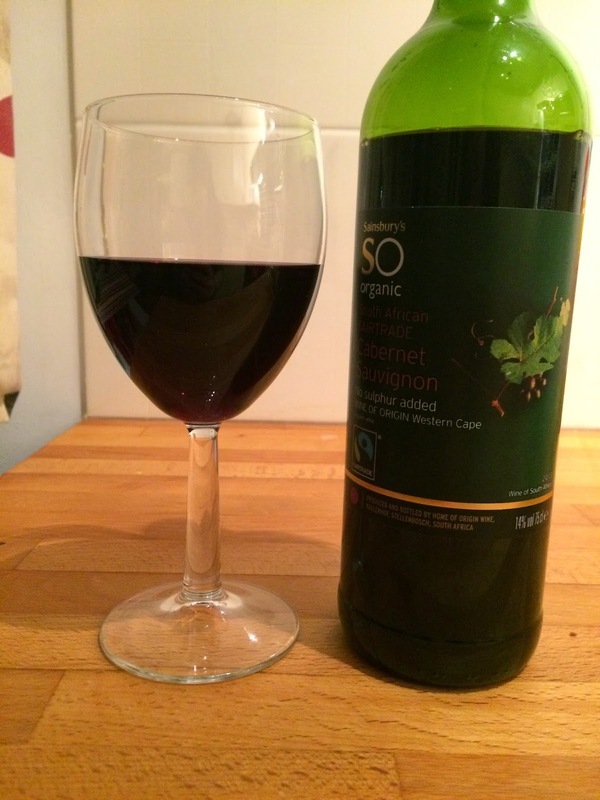 When Sainsburys contacted me and told me about their Organic September campaign I knew I had to take part. I try and buy organic veg if it’s on offer but it’s not always possible but my rule is as long as I try it’s better than nothing at all. Sometimes the product you want is beyond your budget or sometimes it’s just not available and that’s exactly what happened to me when I went shopping for the ingredients for this recipe. 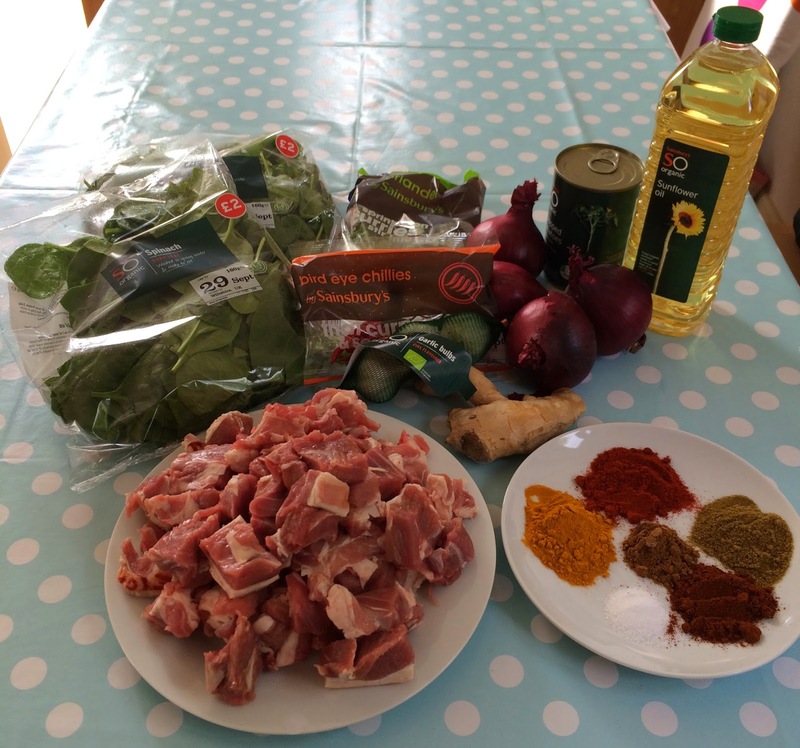 I wanted to share one of my favourite curry recipes and I was intrigued to see was there any taste different using all organic ingredients but I hit a massive stumbling block with the key ingredient, the lamb. I really needed a leg or shoulder of lamb but the only organic lamb in my local Sainsburys was lamb mince. Mr T suggested making a keema curry but I knew it wouldn’t be the same. It needs the chunks of meat to bring it all together. 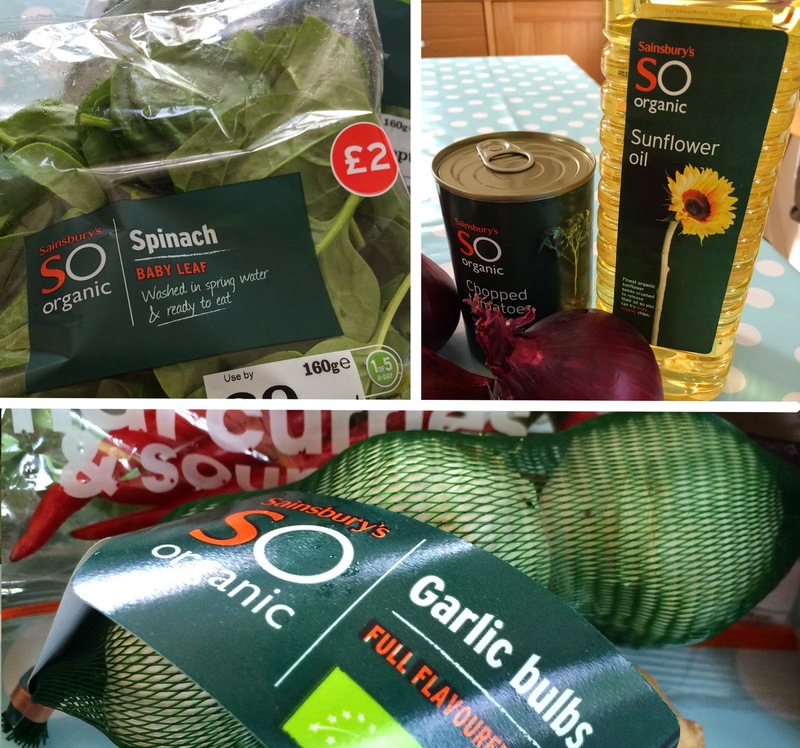 I had all the other organic ingredients in my trolley and then I realised, it doesn’t matter than I can’t get every ingredient from the organic range, the main thing is I’m trying and making that effort to use better quality ingredients in my cooking. Something is better than nothing at all. 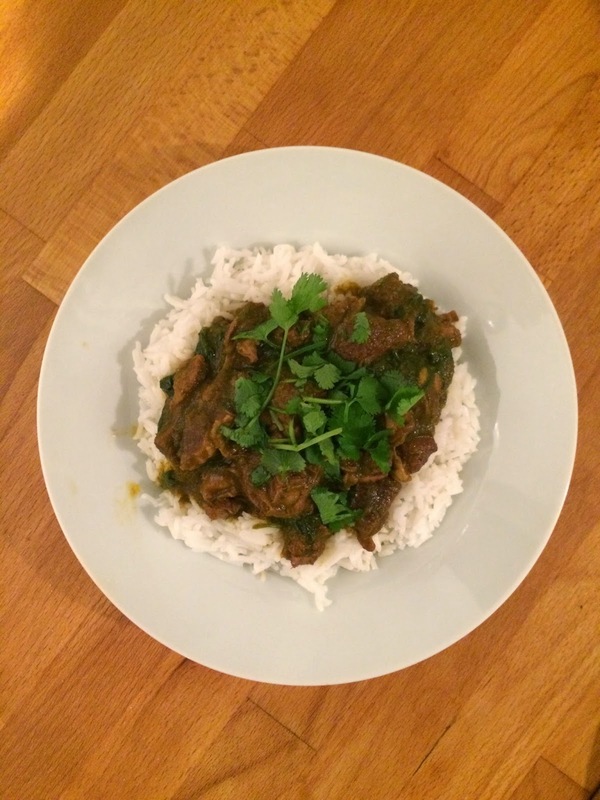 This is our go to recipe for curry, the original is here but we have adapted it over the years and now we always make it when people come over, it’s a definite crowd pleaser. It does involve a bit of prep but once it’s done you can leave it simmering on the pan for hours until you are ready to eat. Put the tomatoes, water, ginger and garlic into a liquidizer and blend until smooth. Remove the onions, add them to the paste and blend briefly until smooth. Return the puree to the pan and add the lamb, salt and all the spices apart from the garam masala. Bring to the boil and then leave to simmer on a low heat for at least 2 hours. Once the lamb is soft put 150g of the spinach into a pan and cook until wilted down. Put this in a liquidizer with a wee drop of water and blitz until smooth. Stir in the spinach paste and the chillies and leave to simmer until ready to serve. To serve, sprinkle over the remaining coriander and accompany with rice, naan or any other sundries of your choice. Thanks Sainsburys for the opportunity to get involved in your campaign, it’s been a great challenge! 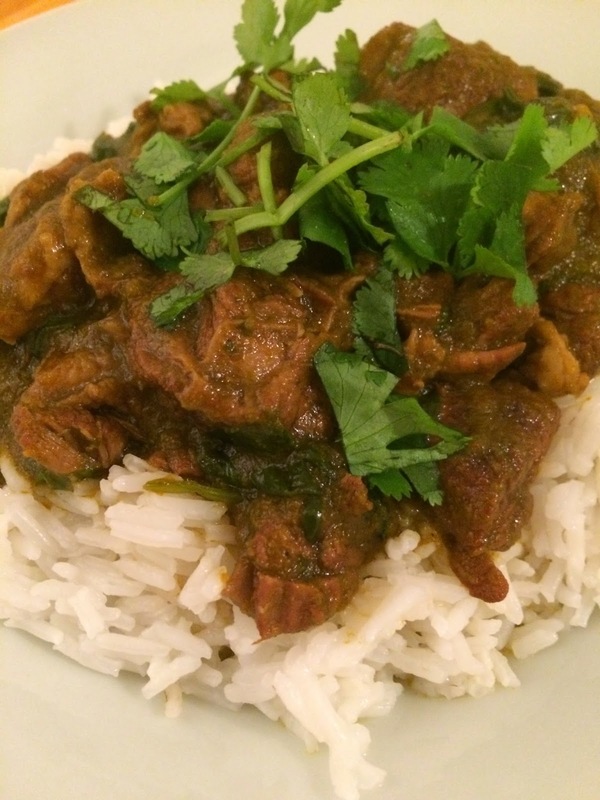 thanks lovely, it really is our go to recipe for curry and everyone loves it. If you want to go extra authentic then use ghee. I couldn't use it in this recipe cos I couldn't get organic ghee but the oil worked just as good.